What do NBFFs constantly worry about? After world peace? Weight. I am 5 feet 1 inch tall and weigh 115 pounds. Not tall, not stick thin, but not fat. I should worry, right? But, until recently I weighed about 5 pounds more. I could not budge the scale down to lose those last few pounds that are the equivalent of 20 pounds on somebody taller. Clothes fit better on a 5-pound slimmer me. I can feel the difference, too, as I bounce out of bed each morning. I know. Those of you who would like to lose a lot more than that are rolling your eyes. 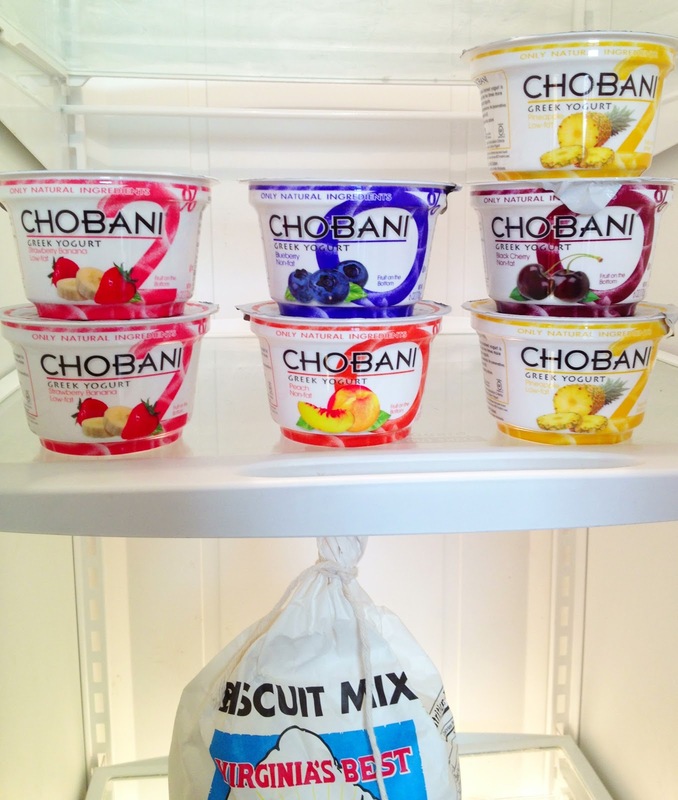 But here's my secret diet weapon, my New Year's Resolution gift to you: Chobani Greek yogurt. Last spring I started eating a Chobani for breakfast and another for lunch. Veg and fruit snacks in between. Proper dinner of meat, poultry or fish and vegetable. Never felt hungry (one friend wondered if the company added an appetite suppressant; they don't). I also, in a pretty haphazard way, stopped eating cheese and carbs and stopped drinking much, if any, alcohol -- all of which helped. But it wasn't until the Chobani kicked in that the pounds melted off. I couldn't believe the scale. I thought it was broken. Eventually I started adding in more normal food, but would return to the Chobani diet if the scale crept back up (see the shot of my fridge, above). Then, at a wedding last summer in Virginia, I sat next to a woman who turned out to be a Chobani executive. Perfect! When I told her about my diet discovery, she said, "We've been hearing that a lot." Anecdotal evidence. 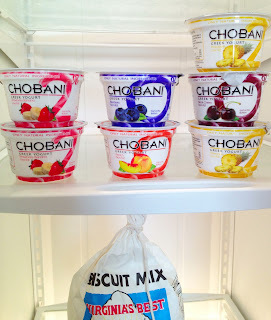 According to my doctor, the 30% daily protein value in each 6-ounce tub of Chobani has a lot to do with the weight loss. And the 150 (or less) low- or non-fat calorie total. It doesn't hurt that the delicious flavors never fail to satisfy, which makes the diet easy. My faves: pineapple, apple cinnamon and blood orange. I mean: how inspired is that last one? Brings back memories of a college trip to Greece and eating blood oranges on the side of mountain overlooking the blue, blue sea. You gotta love a company that comes up with a name like that. INSTANT Gratification: Chobani coupons! -- "Only natural ingredients"